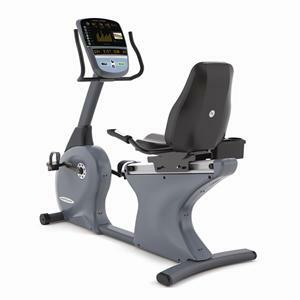 a Rugged Clinical Recumbent Bike at an Affordable Price! If youre looking for a smooth, quiet, and comfortable recumbent bike for your therapy center, the Vision R70 provides high-end quality at a price thats budget-friendly. With features that are easy to use, this Vision Fitness recumbent bike is designed with the patient in mind. The comfortable seat is easy to access and features adjustable lumbar support. Remote controls on the hand grips allow for resistance changes during workouts. The Vision recumbent bike also generates its own power, so you can place it virtually anywhere in your clinic.